We went skiing in the rain today. I love the mountains, the woods, the fog – or being in the clouds… so we dressed for the weather. We were surprised at the lack of snow. 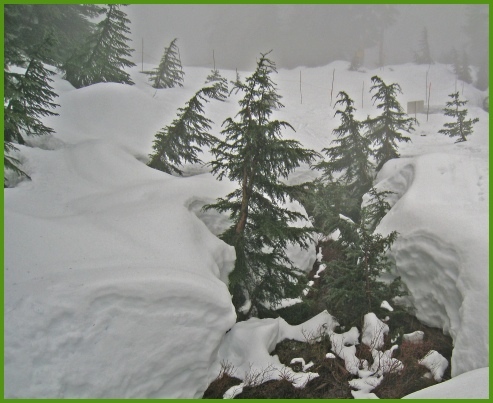 Normally, by January there is lots of snow in Cypress Bowl. 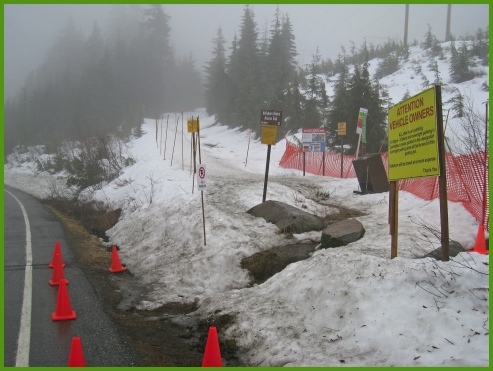 This is the entrance to the Hikers’ access, a trail that leads to the summit of Hollyburn Mountain. The top of the groomed nordic runs on Hollyburn is known to the locals as the Water Boards. 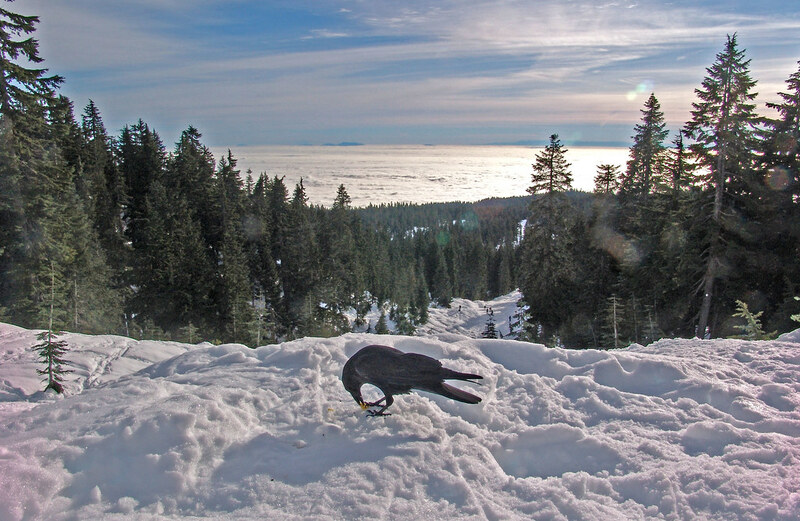 What we call the backcountry begins when we go above that. We were astonished to see that above the Water Boards there were still huge holes where water was flowing beneath the snow. In the picture, the top of the nordic run is the flat area in the top right of the picture. The sign is warning folks of the dangers of backcountry travel beyond that point. These holes reveal the current depth of the snowpack. Lots of snow last January.